Government employees will no longer be allowed to take operational or pool vehicles home after working hours, during weekends and on public holidays. 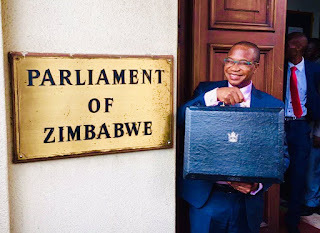 Presenting the 2019 National Budget Statement last Thursday dubbed “Austerity for Prosperity,” the Minister of Finance and Economic Development Professor Mthuli Ncube noted that some civil servants were abusing Government vehicles. He said the move was an austerity measure which would help improve efficiency and make savings. Prof Ncube said all Government pool vehicles should be parked at the work stations or the nearest police station after designated working hours, during weekends and public holidays. He said this measure is meant to lower payment arrears to service providers related to maintenance and fuel bills. “Government is improving the management system of the Government fleet as another avenue for improving efficiency and making savings. Some public officers tend to use Government operational or pool vehicles after working hours, during weekends and on public holidays, which practice contributes to unsustainable build-up of outstanding payment arrears to service providers related to maintenance and fuel bills,” said Prof Ncube. The Minister said all Government cars will be transferred to the Central Mechanical and Equipment Department (CMED), which will manage and maintain them. “Similarly, all Government pool vehicles will be transferred and centrally managed through CMED (Pvt) Ltd. Entities with capacity to maintain their fleet will be excluded from this directive,” he said. Prof Ncube said with regards to replacement of vehicles, adherences to the measures enunciated in the Transitional Stabilisation Programme (TSP) will be enforced. “The framework will be cascaded to other categories of the public service such as independent commissions, Parliament, judiciary and State entities,” he said. Prof Ncube said Treasury has also resolved to ring-fence all revenues generated by Government departments including retention funds. He said it was now a requirement for retention funds to be remitted into the Consolidated Revenue Fund. “Treasury will, however, ring-fence such revenues in line with the current approved retention levels. Disbursement will, thus, be through the Public Funds Management System,” he said. The Minister said the measure is aimed at upholding the principle of transparency and accountability in the utilisation of public resources. The Auditor-General Mrs Mildred Chiri has already raised a red flag over lack of transparency and accountability with regards to most of these statutory and retention funds. Most of the retention funds were created as a survival tactic to allow Government departments to retain part of their revenue to fund critical operations such as capitalisation. However, according to Parliament’s Budget Office, the proliferation of these funds and reports of lack of transparency in the use of the funds was now a matter of concern. Government ministries and departments were holding onto the revenue collected through fees, fines and user charges. The Zimbabwe National Roads Administration (Zinara), the Registrar-General’s Office and the Zimbabwe Republic Police retain some of the revenue they collect.